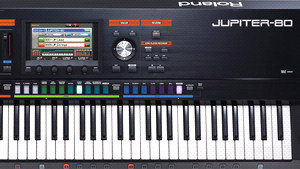 KitMonsters – Roland Jupiter-80. The music makers’ guide to making music. Combines high-calibre analog modelling, digital synthesis and expressiveness in a new homage to the iconic Jupiter-8.